It is not, ‘Reader, he married me’ – as you would expect in a Victorian society where women were supposed to be passive; or even ‘Reader, we married.’ Instead Jane asserts herself; she is the driving force of her narrative, and it is she who chooses to be with Rochester. True. It is, I think, at least in part the thrill of this quiet, plain heroine who is able to change her own life and take control of her own destiny, that appeals; she is still a modern heroine, all this time after her publication in 1847. That is, no doubt, the driving force behind many of these stories, by familiar names including Helen Dunmore, Kirsty Gunn, Tessa Hadley, Susan Hill, Esther Freud, Lionel Shriver and Audrey Niffenegger, to name a few. 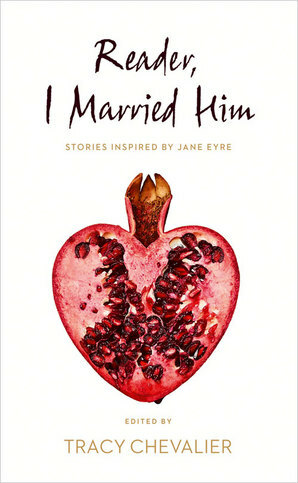 To me, though, it was an odd collection; I was, perhaps, trying too hard to trace the stories’ origins in Jane Eyre; many seem to feature a relationship or a wedding which might, very loosely, be derived from the line “Reader, I married him”, but in some cases I was lost as to the Bronte connection and thus perhaps didn’t enjoy the story as much as I should. Some stories, however, were wonderful – illuminating the original text, whilst bringing a modern creativity and understanding to a new piece of fiction. Helen Dunmore’s ‘Grace Poole Her Testimony’ gives a revisionist reading of the Jane Eyre story (one might almost say myth), in which Jane and Mr Rochester are cast as much less positive characters, while poor Bertha is given a rounded, much softer and sympathetic character. 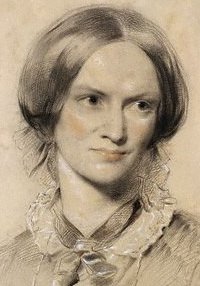 Grace shows that not all women have a voice; not all women can put their story forward and create their own destinies like Jane Eyre, and reminds the reader that after all, Jane is a fiction – more women, perhaps, suffered the repressive lives that Grace and Bertha had. The flipside of the fairytale has always been represented by Bertha, and this story re-reads Bronte’s text to show how facts might be manipulated. Of course the idea of the ‘madwoman in the attic’ is familiar from Gilbert and Gubar’s critical work of the same name, but this concept with its multiple possibilities of dual consciousness, the repression of women, the psychology of characters, seems ripe for fictional exploration but doesn’t really feature in this book. The appealing mismatch of the strong but slightly prissy, educated woman and the careless man is reflected nicely in Chevalier’s own story, ‘Dorset Gap’, in which a geo-caching expedition leads to a sly twist at the end. Francine Prose reimagines the story in which Rochester becomes an even more sinister figure, disposing of unwanted wives in a manner close to Bluebeard. Susan Hill, who admits she hasn’t read Jane Eyre, writes a story from the point of view of Wallis Simpson, exploring the problems of being needed and adored. Perhaps my favourite is Emma Donoghue’s ‘Since First I Saw Your Face’, exploring marriage (so a very loose connection to the novel) as complicated by repressed sexuality, and through the prism of another true story, the life of Minnie Benson, mother of E F Benson of Mapp and Lucia. Audrey Niffenegger’s ‘The Orphan Exchange’, with overtones of Kazuo Ishiguro’s Never Let Me Go, eventually reunites Jane with her childhood friend Helen Burns. The echoes of Bluebeard in Jane Eyre are obvious. Rochester is a swarthy, middle-aged rich country gentleman, with a wife locked up in a secret chamber in his house. He wants another wife – like Bluebeard, he is a man of voracious sexual appetite. … what is most striking is Bronte’s inversion of the conclusion of the fable. In Jane Eyre we are encouraged, in the last chapters, to feel sympathy for Bluebeard – a husband more sinned against than sinning. The locked-up wife is transformed into the villain of the piece. … Not only is sympathy demanded. We are to assume that – after some moral re-education – Jane will be blissfully happy with a Bluebeard who has mended his ways. It is more daring since … Edward Rochester is responsible for Bertha Rochester’s death. Like Francine Prose, Sutherland concludes that one might not, therefore, ‘be entirely confident that his wife-killing ways would not return’. The stories here speak not only to the novel, then, but also to the multiple classics of criticism which have accrued over the last fifty years. 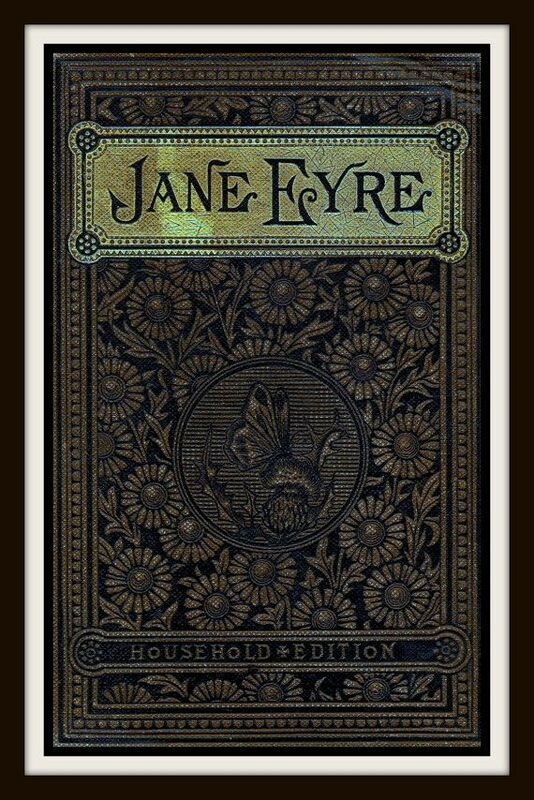 Though I might not have appreciated every story here, I’ll not read Jane Eyre in quite the same way again; the stories open up little pinholes of possibilities – other readings, other texts, other characters – in the novel. I always read your blog with great pleasure: it is clever, well-documented and insightful. This post gives me the same pleasure and, as ever, inites me to put the book in my wish list! Thank you. Thank you – I really appreciate your lovely comments! I’m sure you’ll enjoy the book – it’s food for thought for any Bronte reader!